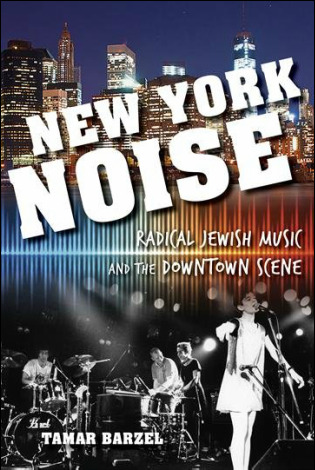 ​“New Directions in Jewish Music"
Visiting Curator, Fales Library-Downtown Collection, NYU. ​A prolific composer whose teachers included Reger and Debussy, Schulhoff (1894-1942) perished in the Holocaust. 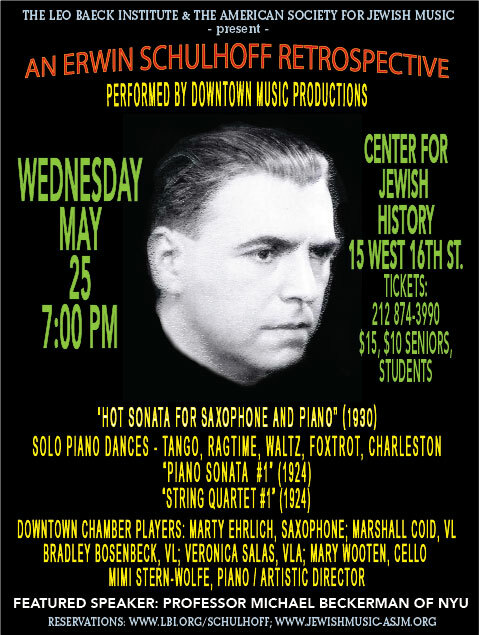 The program includes Schulhoff’s “Hot Sonata for Saxophone and Piano,” his “String Quartet No. 1,” his Piano Sonata No.1, as well as piano music of tangos, blues, ragtime and waltzes. 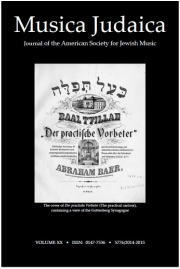 New York University Professor Michael Beckerman speaks on Schulhoff’s life and times. The music is very and exciting and, particularly for those of you who don't know Schulhoff or the range of his music, it should be a fascinating program.